Weeks after the Harvard Management Company announced its intent to lay off nearly half of its 230-person staff, three of the firm’s investment managers will leave the company to form their own hedge funds, according to Bloomberg. HMC spokesperson Emily Guadagnoli declined to comment on the departure of the three managers. The managers’ departure comes on the heels of an announcement in late January that the firm is overhauling its unique investment strategy and closing the bulk of its internal investment teams. In his January message, HMC’s new CEO N. P. Narvekar outlined a five-year plan to improve the University's lagging endowment returns. In fiscal year 2016, Harvard posted a negative 2 percent return on its investments. 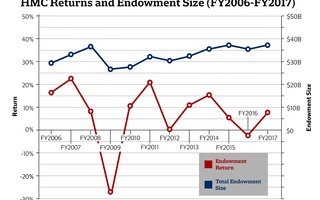 The returns, coupled with other financial flows like the $1.7 billion HMC allocated to Harvard’s annual operating budget in FY 2016, dropped the value of the endowment by approximately $2 billion. Other staffers at HMC are expected to form new funds after they leave the firm. 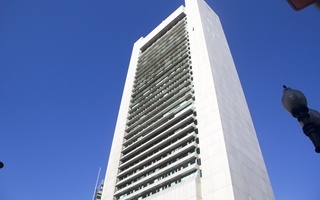 According to Narvekar, HMC’s successful real estate team will spin off to form a its own fund and possibly continue to manage Harvard’s real estate assets. According to experts, in many cases, the University would pay more for external managers than it does for its internal managers, but some predict that the real estate team might strike a deal with Harvard that mitigates the cost. ​Members the Class of 1981 suggested significant changes to Harvard Management Company’s investment philosophy in a letter to Faust. ​Months after announcing it would radically revise its investment strategy by the end of the fiscal year, Harvard Management Company will invest at least $300 million into a hedge fund formed by some of its former money managers.